Joe Bataan (also spelled Bataán) (born November 15, 1942 in Spanish Harlem, New York City) is an African American–Filipino Latin soul musician from New York. Upon his release in 1965, he turned his attention to music and formed his first band, Joe Bataan and the Latin Swingers. Bataan was influenced by two musical styles: the Latin boogaloo and African American doo-wop. Though Bataan was neither the first nor only artist to combine doo-wop-style singing with Latin rhythms, his talent for it drew the attention of Fania Records. 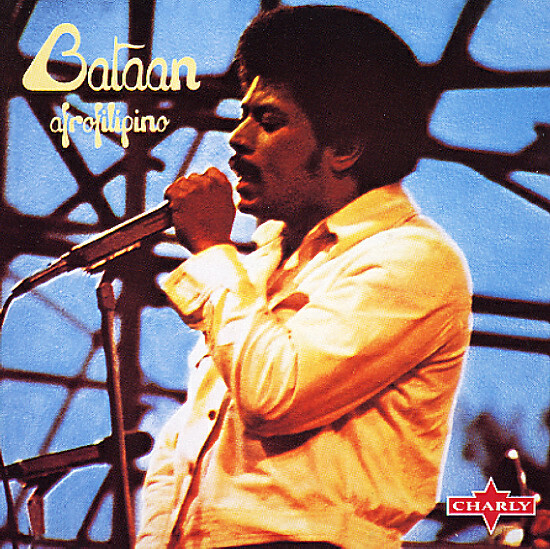 After signing with them in 1966, Bataan released Gypsy Woman in 1967. (The title track is a Latin dance cover of "Gypsy Woman" by The Impressions). He would, in full, release eight original titles for Fania which included the gold-selling Riot!. These albums often mixed energetic Latin dance songs, sung in Spanish, with slower, English-language soul ballads sung by Bataan himself. As a vocalist, Bataan's fame in the Latin music scene at the time was only rivaled by Ralfi Pagan. Disagreements over money with Fania Records head Jerry Masucci led Bataan to eventually leave the label. 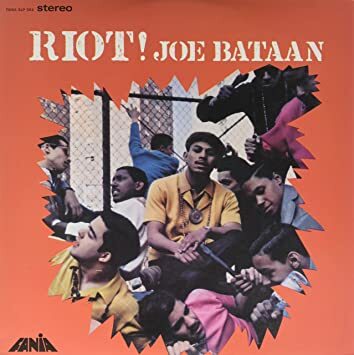 While still signed to Fania however, Bataan secretly started Ghetto Records, a Latin music label which got its initial funding from a local gangster, George Febo. Bataan produced several albums for other artists, including Papo Felix, Paul Ortiz and Eddie Lebron. In 1973, he helped coin the phrase "salsoul", lending its name to his first post-Fania album. Along with the Cayre brothers, Kenneth, Stanley, and Joseph, he co-founded the Salsoul label, though later sold out his interest. He recorded three albums for Salsoul and several singles, including "Rap-O Clap-O" from 1979 which became an early hip hop hit. After his 1981 album, Bataan II, he retired from music-making to spend more time with his family and ended up working as a youth counselor in one of the reformatories he himself had spent time in as a teenager. In 2005, Bataan teamed up with producer Daniel Collás to break his long hiatus with the release of Call My Name, a well-received album recorded in New York for Spain's Vampisoul label. Bataan is also the father of Asia Nitollano, winner of Pussycat Dolls Present: The Search for the Next Doll. In the 2006 video game, Driver Parallel Lines, Joe Bataan's song "Subway Joe" was included in the soundtrack. In early 2009, Bataan was featured in the Kenzo Digital-produced "beat cinematic" City of God's Son. Bataan was featured as the narrator of the story, playing the part of an older Nas reflecting upon his youth in the street with cohorts Jay-Z, Ghostface Killah, Biggie and Raekwon. In 2013, Bataan received the Lifetime Achievement Award from the New York chapter of the Filipino American National Historical Society. In 2016, Bataan (along with the Barrio Boys) performed at the FANHS National Conference in New York- where 500 conference attendees danced to his music while cruising the Hudson River on the Hornblower Infinity. In 2014 he met Osman Jr, from French group SETENTA which, in collaboration with promoteur Benjamin Levy, leads him to play for the first time in Paris in June 2015 at "Le théatre des Etoiles", followed by a historic live at the "Jazz Mix de Vienne" in France. In September 2015, Joe BATAAN poses his voice on the now classic song "My Rainbow", a soulful bolero composed by the French band. This title was released in 2016 on the album " Paris to Nueva York " produced by the label LATIN BIG NOTE. With SETENTA as this backing band Joe BATAAN travels and plays on famous scenes as Selma in Stockholm (Sweden), Ronnie Scott's (London), the FGO ( Paris ), the Summer Stage in New York or the Théatre de la Mer of Fiest'a Sète (France). In 2017, Bataan collaborated with Spanglish Fly, the boogaloo revival group based in New York City, to record "New York Rules," released on the band's Ay Que Boogaloo (Chaco World Music). Singing lead vocals on the tune, Bataan includes references to his staple songs "Subway Joe" and "Rap-o Clap-o."